« It’s Spring – Think Green! No one knows how to throw a Cinco de Mayo party like Diane Powers! 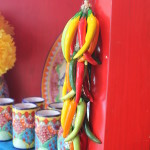 Visit her Bazaar del Mundo Shops in Old Town to plan the perfect fiesta for your friends and family. 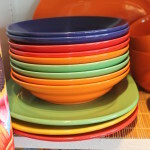 Everything you need to throw an unforgettable get-together can be found in our Shops – colorful dishware, Talavera platters, one-of-a-kind Mexican paper flowers, traditional Mexican papel picado and hanging chili lights. 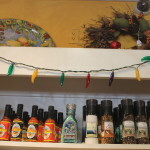 You can even give your guests festive party favors like our tasty Mexican sauces and salsas. 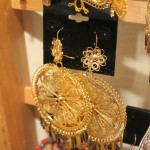 Complete the cultural experience by dressing the part! 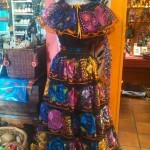 Stunning and authentic blouses and dresses are available in our Artes de Mexico Shop, along with gold and silver jewelry in Ariana. Leave it to our chefs at Powers’ Family of Mexican Restaurants – Casa Guadalajara, Casa de Pico, Casa de Bandini and Casa Sol y Mar – to cater a flawless meal including antojitos (appetizers), carne asada, carnitas, fresh tortillas, frijoles, postres (desserts) and more. 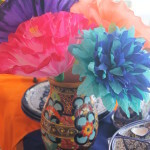 To see more of our fabulous Cinco de Mayo merchandise, see a photo gallery on our Facebook page. This entry was posted by The Bazaar del Mundo on May 7, 2014 at 8:42 pm, and is filed under Uncategorized. Follow any responses to this post through RSS 2.0. You can leave a response or trackback from your own site.